CADAS has extensive experience in drugs of abuse issues, specifically in workplace, criminal justice, treatment and professional service fields. CADAS maintains the organizational capabilities to create, when necessary, specialized services designed to meet the unique needs of each client. Substance abuse testing is a valuable tool for employers to reduce the affects of substance abuse in the workplace. The objective of testing is twofold: Detection and Deterrence. The later plays the most important role in an effective program. While technology has improved, testing must be conducted correctly. From a legal standpoint if your drug testing program is challenged, use of a certified laboratory places your company in a much more legally defensible position. It shows a strong commitment on the part of the employer to provide a sound program. Testing for drugs of abuse is a two-step procedure of Screening and Confirmation. The screening test is used to detect the presence of a drug or its metabolites. All samples identified, as suspect positive on the initial screen will automatically be confirmed using GC/MS (gas chromatography/mass spectrometry) procedure. Alcohol testing is an added tool for employers and companies to ensure that their workforce is safe and alcohol-free. It is also required, under certain circumstances for regulated companies. 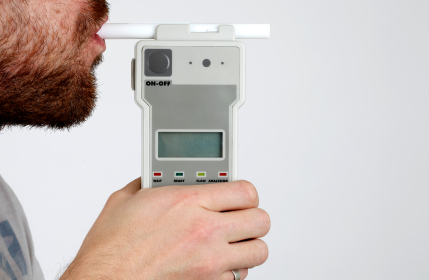 These tests can be conducted either using Evidential Breath Testing devices (EBT), or by screening only devices utilizing saliva. In both cases, results are available within minutes, providing you the decision-making information you need.